It was a year of birthdays. Of new starts … and looking back. Of exceptional achievements. Of being cool. It was a historic year too, as the University of California, Irvine collectively celebrated its golden anniversary – taking time to reflect on the accomplishments that made UCI one of the world’s best public universities while embracing a bright future of community and global impact. Fifty never felt so good. 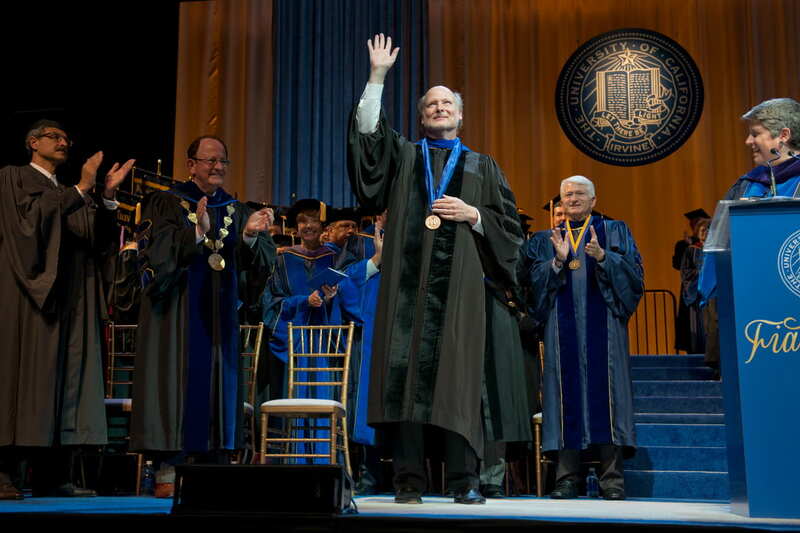 A new era began March 31 as more than 700 guests packed the Irvine Barclay Theatre to celebrate the investiture of Howard Gillman as the sixth chancellor in UCI’s history. Officially taking the helm in the 50th anniversary year, Gillman outlined his vision for the campus’s second half-century, which includes raising its reputation as a sought-after destination for top-flight faculty and students and extending its reach and impact across the globe. 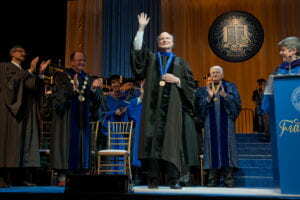 The investiture of Howard Gillman as UCI’s sixth chancellor was witnessed by more than 700 guests at the Irvine Barclay Theatre in March. Health-related research today integrates previously separate academic disciplines, Gillman explained. Bioinformatics, synthetic biology, nanobiology, computational biology, tissue engineering, biomaterials and systems biology all reflect a convergence of research across the life sciences, the physical sciences, engineering, information and computer sciences, and the social and behavioral sciences. The XIV Dalai Lama opted to celebrate his 80th birthday at UCI; the July event marked the spiritual leader’s third visit to campus. Of all the places in the world the XIV Dalai Lama could celebrate his birthday, he selected UCI to be his host. Making his third visit to campus, the Dalai Lama kicked off the fete July 5 with a rockin’ party at the Honda Center of Anaheim. 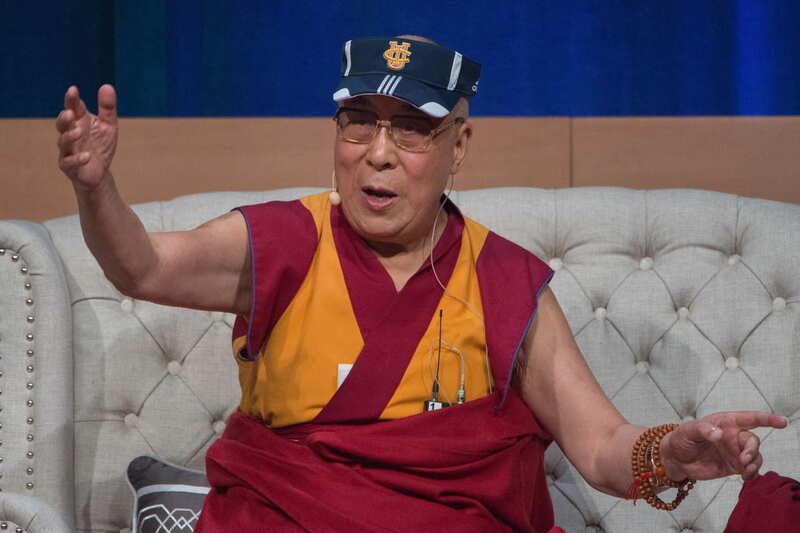 About 18,000 well-wishers gathered at the Global Compassion Summit to share in music, dancing, a mammoth cake and words of wisdom in honor of the Dalai Lama’s 80th birthday. The spiritual leader, who says that every morning we awaken is a gift and a birth, seemed pleased to participate. The celebration continued the following two days with events at the Bren Events Center and a climate action picnic in Aldrich Park. The main message? World peace and the happiness of humanity begins with inner peace and personal happiness. During the Oct. 3 Festival of Discovery in Aldrich Park, Vijay Ramakrishnan ’06 tried out some robotic technology from UCI’s iMove lab. What’s an anniversary without a party? This one was golden, and UCI opened its doors for the Festival of Discovery. The daylong gala of good health, great art, global impact and innovation had Aldrich Park hopping Oct. 3, from an early morning Family Fun Run to the closing of the last booth after 3 p.m. It goes without saying that UCI – located near some of the finest U.S. beaches – is a cool place to be. But when one of the top environmental journals says it, it means something altogether different. For the second year in a row, the campus took the No. 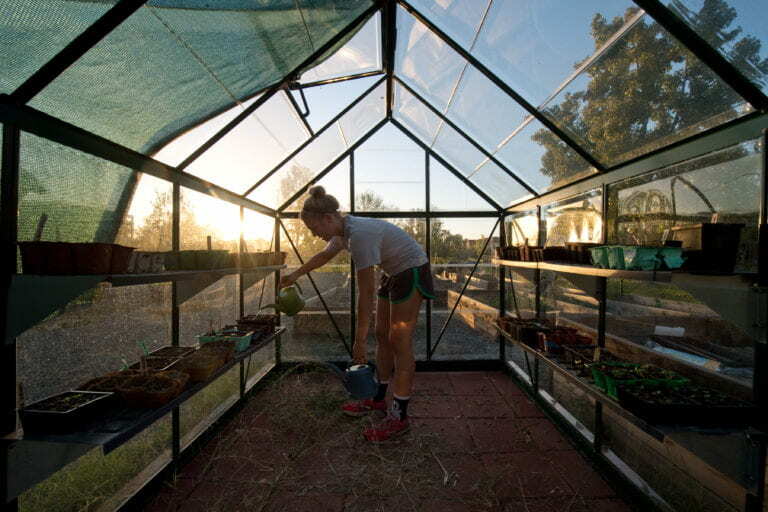 1 spot in Sierra magazine’s annual “Cool Schools” ranking of the nation’s greenest colleges. It’s the first time any university has repeated a No. 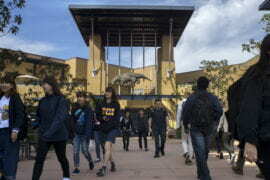 1 appearance and the sixth year UCI has placed among the top 10. For the second year in a row, UCI took the No. 1 spot in Sierra magazine’s annual “Cool Schools” ranking of the nation’s greenest colleges. 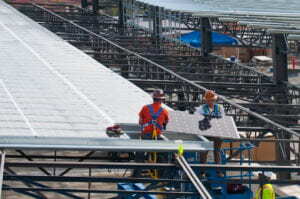 Here, solar panels are installed atop the Social Science Parking Structure. 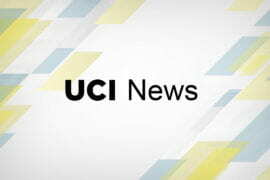 Factors that boosted UCI to No. 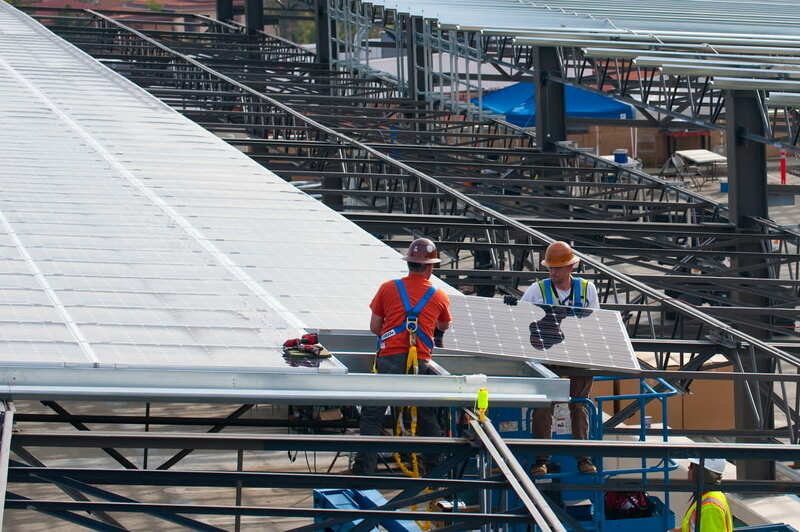 1 include three on-campus solar projects and energy efficiency goals that are consistently exceeded, according to the official magazine of the Sierra Club. The university’s award-winning energy management program, which helps reduce its carbon footprint, has been in place for 26 years. Also noted was the Sustainability Initiative, which aims to harness the university’s scholarship and resources to develop new systems and cultures that no longer harm the planet – or people. 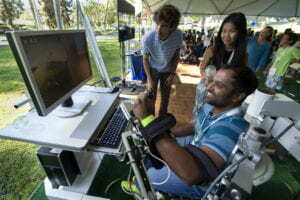 UCI faculty and students also excel. 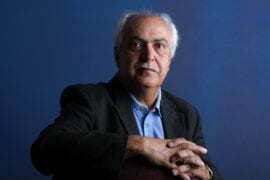 More than 200 faculty members conduct research and provide instruction on such topics as collapsing glaciers and sea level rise in Greenland and Antarctica, conservation biology across California, ocean health and water resources administration; climate change-related drought, famine, flooding, disease and poverty; and land-use planning, environmental law, public health and social justice. And the Global Sustainability Resource Center, a hub for student leadership and education, includes 22 campus clubs and programs with green themes. 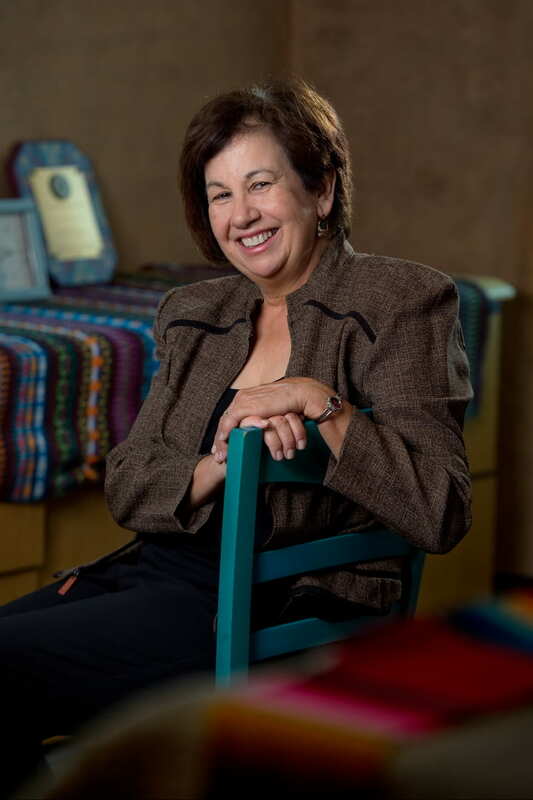 In a Sept. 10 ceremony at the White House, President Barack Obama awarded the 2014 National Humanities Medal to Vicki Ruiz, UCI Distinguished Professor of history and Chicano/Latino studies. With a hug and a pat on the back, UCI’s good friend President Barack Obama – he gave the UCI commencement address last year, remember? – presented the 2014 National Humanities Medal to Vicki Ruiz, Distinguished Professor of history and Chicano/Latino studies. The Sept. 10 White House ceremony honored those who “share their gifts to make our lives and the world more beautiful, richer and fuller and, more importantly, help us understand each other a little bit better,” Obama said. Ruiz has spent her nearly 40-year academic career – which began with collecting oral testimony from Mexican immigrants who worked in U.S. canning factories – reclaiming the stories of Latinas who fought for civil and labor rights and, in the process, pioneering the field of Chicana/Latina history. 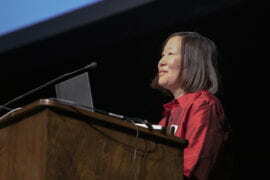 The soft-spoken historian has written or edited several books, including the groundbreaking Latinas in the United States: A Historical Encyclopedia, which she co-edited in 2006. The three-volume set – with more than 600 entries and 300 photographs – documents contributions by Latina women to the economic and cultural development of the U.S.
We couldn’t close out the year without adding a few more trophies to the collective UCI shelf. The honors rolled in right through winter break. Cool Campus Challenge: On Dec. 15, the University of California announced that UCI placed first among UC schools participating in a 10-week contest aimed at making UC campuses Carbon Neutral by 2025. 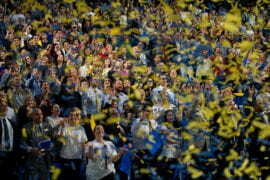 Despite some nail-biting moments at the finish, UCI held onto its the lead with participation of some 4,000 staff, faculty and students completing tasks to amass points. 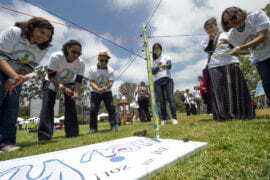 The Cool Campus Challenge is part of UC President Janet Napolitano’s Carbon Neutrality Initiative. “UC Irvine students are the next generation of global leaders in sustainability, giving a new definition to the word ‘cool’” noted Abigail Reyes, UCI Sustainability Initiative director. Top marks for teaching teachers: In a newly released study of 800 colleges, UCI’s School of Education was one of only 35 programs recognized Dec. 16 for ensuring that future high school teachers effectively master their chosen specialty. The National Council on Teacher Quality analysis was accompanied by a survey that found 32 percent of high school students doubted their teachers’ knowledge of classroom subject matter. A teacher’s topic mastery is “directly correlated with how effectively they communicate subjects to students,” according to a news release issued jointly by NCTQ and YouthTruth, which surveyed 130,000 high school students about their classroom perceptions. 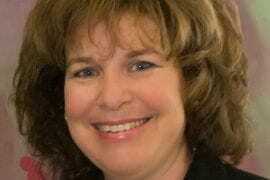 “Content mastery is critical to effective teaching,” said Mark Warschauer, interim dean of UCI’s School of Education. “For that reason, our CalTeach program combines teacher education courses and fieldwork with a rigorous four-year bachelor’s degree in science or mathematics.” The school was specifically recognized for its admissions selectivity and preparation of future math and science teachers.